After a long wait, Cinema-goers of Kochi will soon have a taste of some world class amenities when Kerala’s first Megaplex – Cinepolis launches this August. Cinepolis is the 4th largest multiplex chain and the first of international chains to enter India employing over 17,000 employees globally. The Mexican cinema chain already has presence in 13 cities in India and are en route to setup over 500 screens in India by 2017. 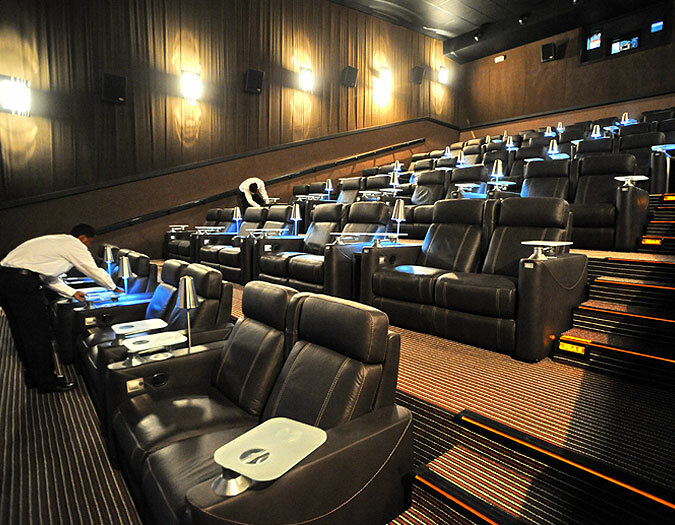 The Kochi Cinepolis is expected to launch with 11 screens of which 3 are VIP screens. The VIP screens, a luxury cinema segment popularized by Cinepolis will be a dream come true for those who want an more plush movie experience than what is on offer in Kochi movie screens today. Imagine watching a movie on reclined seats, a catering service and it is said to have a button to call your waiter as well! Based on the ticket rates mentioned on the Cinepolis India website for other cities, the rates are comparable to the other multiplex screens in Kochi, such as PVR, Cinemax and Gold Souk. The VIP tickets however are expected to cost about three to four times than a traditional screen ticket. After much wait, we can now experience an international movie experience this Onam right in the CenterSquare Mall, M.G Road! Follow us on Facebook/CochinSquare to get the latest updates!